Remember how fun Bump was in the early days of iPhones? 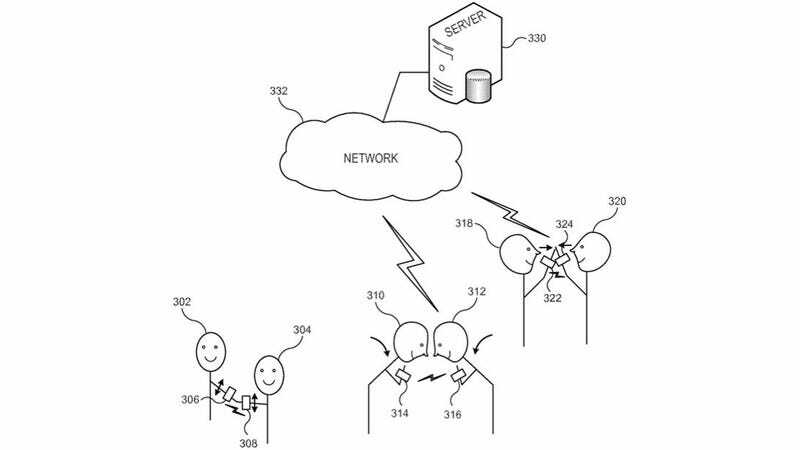 Probably not because it was silly and kind of dumb, but based on a new Apple patent application, you could soon be exchanging any kind of data with any type of gesture, from hugs to high fives—and it actually makes sense. The exchange of information can be wholly or partially automated and can occur in response to a device detecting a “greeting event.” In some embodiments, a greeting event is detected when two user devices belonging to different users are in proximity and the users of the devices concurrently execute a greeting gesture, such as a handshake, bow, hand slap, hug, or the like. Or like a fist bump, too, probably. As always, an Apple patent does not an Apple product make. The company patents all kinds of zany things, many of which never actually make it to market. If this one does, though, I’m going to high five songs to my friends left and right.